Master Kato (received by Celest) I send you greetings Children of the Earth; in keeping with our agreement with the primary Luminescent of this Universe and in accordance with our Soul contracts of our collective of Masters, it had been decided that the more we can assist you in understanding the priceless necessity of your having greater cognition, the more you will be able to move forward and assist others in their own quest for true knowledge. Please, for the time I spend with you now while I am speaking with all of you about what you should expect in the "today" of your times, I ask you to maintain a focus here and stop cluttering your minds with logic and logical but erroneous conclusions on your part. We are the Keepers of the NOW; essentially this means that it is we who have cherished and protected her since the nanosecond of her gestation and are still continuing to do so as she continues on her spatial journey here on the Earth Star planet. I do know that Celestial, the God of this Universe, Blue Star and David of Arcturus to name but a few, have long been speaking with all of you about this portentous NOW event. However, because we are the principal caretakers of the NOW and because we all work with her in "reducing the clutter" that has so befuddled and beguiled so many people here, we are in the proper position to speak for her and for ourselves about this vital issue. It was as she was birthed directly from and through the Creative processing event, that she was able to be "born" with all her sentience intact. You see, the Creative processing could and did imbue a massive amount of illuminated essences native to all the Universes, all the galaxies into one collective FORCE of energetic matter and inserted it into the Golden NOW Child. This spontaneously Created an entity that at first resembled a tiny orb. This particular orb Child possessed all the most evolved forms of Spiritual wisdom, ancient teachings and the essence of each Luminescent who is the God and Goddess of every Universe. Think of matter conjoining with all other matter in this compendium of the greatest energies ever known, ALL combined in one living orb. The extraordinary focus of the Light, the hues, the prisms and the arcing of these true Lights of all the Universes is incomparable. She, the Golden NOW Child, is SOUL incarnate and discarnate in a simultaneous manner. She possesses the most melodic harmonies; those that none of you here can possibly imagine, let alone "relate" to. The continuous pulsating of her "heart" can be equated with a humming sound that at times releases a high-pitched decibel of a tonal quality that encapsulates a calibrated measure of ethereal music. This music then releases a luminescent streamer that causes many people to suddenly begin to feel tingly. She arrives with a bequest within her Soul Self, within her amazing Soul Voice. Her Soul is resonant to the vibration and frequency of each person on this planet. She is bequeathing a legacy here, one that will live on even longer than this planet herself. The NOW is a Goddess in her own right; she had long awaited the processing venture that would bring form to herself. You see, a part of the processing venture, by the way this too is information that is unknown to the races here, is that prior to the birth of a Soul, there is a planning stage already developed for them. You must understand that all energy is in the image of the various geometric symbols that are also known as, "the language of Light." This means that some energies are "circular," some are "triangular" and so on. There are far more geometric symbols that exist than you are aware of. All energy arcs and sways then returns to the geometric patterns for a while. Then they resume the arcing and swaying. All these energies are mutable, not static. 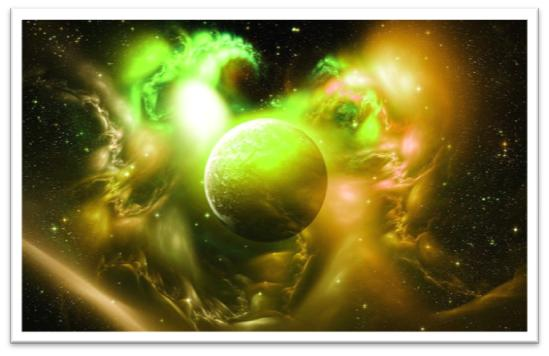 This enables all of the luminescent properties they each possess to continually birth new energies of the Light. The most simple way I can explain this is this way: all Souls prior to birth have a mote of energy that is shaded from sight….in a sense. It is a mere particle to be sure, but it is here that the Luminescent of a Universe decides what energy to give to that mote, and what striations of highly charged different patterned energies would best suite a Soul prior to its actual birthing process. Think of this as "a progressive planning format relative to which Souls will be needed to enhance a Universe, yet what will best suit those Souls in order for Soul to become a Guiding Light of and for itself. Each Soul then issues forth with large amounts of knowledge AND wisdom relative to what that Soul’s designated status will become as Soul learns to stand on its own. The Creative processing is always in activated motion; always maintaining a focus on the greater good for all Souls to be and for all Universes to welcome and hold dear. This manner of being Created was of course true for the NOW as well. She was well-chosen when she was but a minute speck in the realm. She exemplifies what timelessness truly is. It had always been known that the gridline intersection would surface here on this planet when NOW would assume her rightful place as the instrument of God. We who are the Masters, embody all that she is and we do so as part of a cooperative venture among all Universes. Although it is true that we are "spatial," our own Souls are so intertwined with NOW that it is impossible to see where one leaves off and the other begins. NOW is busily and contentedly pursuing her own personal path of destiny as she brings into this planet the spontaneous and simultaneous coexisting of what you think of as past, present and future. With each and every soft touch of her energy she is also further displacing the linear concept known as "time." This is how the overlapping takes place; it is as one energy is carefully dissipated that the other takes the former’s place. Those who are the demon riders that still are alive here, but are being thrust aside by the backlash that the NOW can give, understand completely what her arrival here portends for them. All energies that are not compatible with NOW must be eradicated. It is unfortunate that the races here on this planet are such a splintered grouping of people. It is unfortunate because those who have steadfastly refused to change; those who continue to fritter away their lives instead of embracing true life and greater realities will not remain here either. For many of these people, it will be a happy release from a life they no longer really want anyway. This "today" of the present timeline you are living in has set the stage for the rest of this year IN PARTICULAR. Restlessness and agitation are now giving way to a particularly horrid beginning of civil unrest. Good people of all races are now trying to cope with their reluctant understanding concerning the lack of foodstuffs, water and usable land. They will continue to do this as this year ends on many tragic notes. In but a short time they will all experience even worse situations. A new period of chaos, both organized chaos and disorganized chaos will grip this world. Organized chaos will do so with a velvet glove and catch in her loving hands the good people of all races who have earned her support. Disorganized chaos however will place a stranglehold on the weak minds and selfish people. Yet in one manner or another, you will all feel the effects. In exactly the same way that the summer had begun to HASTEN into autumn, ALL weather changes will become more acute. It is so. So many countries on this planet are ruled by people who have such an obscene desire to "rule the world." I assure you that will never happen again here. However, even as I am writing this (*Celest-this was actually written by Master Kato on this last day of August of 2011,*) one country in particular is covertly planning to start yet another war. Although this is a very small country it is best known throughout this world as a fiercely religious, egocentric and extremely aggressive country of people. This country today is known as "Israel." There are also 2 other countries plotting to takeover a country in the middle-east. However, this action can not be permitted to happen. The Master of the Israeli race of people certainly has his work cut out for him! The people of this country, just as the races of many other countries, are the victims of their own ill-begotten beliefs. As each "today" moment progresses to become yet another today, many of the largest and most self-engrossing fears of people in all countries will come to light. Nary will a day pass without more and more scandals being exposed, more and more political leaders and religious icons will fall by the wayside. And well they should. Yes, we see that so many of you reading our words are finally having sobering thoughts. This was to be expected. We certainly did not travel from so many realms away to be confronted with seeing that none of the people here have earned their "saved rights." Each day now, I ask you each to please develop more of your ability to see through the devastating dross and manipulated lies promulgated by those who do not want to let go of their treacherous hold on humanity. After all, the life you save just may be your own. Pay attention to the trees; tree always acts and reacts to impending climate changes, if you know how to look. Listen to the winds of change; they tend to speak loudly yet fall on deaf ears. Use your sentience and determine this for yourself. Although Terra is dancing faster and faster now, she is not yet ready to achieve maximum output. So yes, many of the changes taking place as far as weather related issues are concerned, are hers and hers only. This does not change the fact that manmade manipulations are still also taking place, you know. Also you really should try to better understand that in the greater sense Terra, NOW and NESARA are NOT separate entities. Living through each "today" does not in any manner entitle you to live through "tomorrow." How you each comport yourselves in the present always has been the deciding factor of where you will be tomorrow. You are not at the mercy of another; you are at the mercy of yourself. No, although you can run away in great haste from just about anything, God knows many of you have tried; you can not run away from yourself. I must of necessity caution all of you now: do not spurn what I am telling you. To do so would be to reject yourself and the result could easily be an inconclusive end to your lives here. That would be most undesirable.